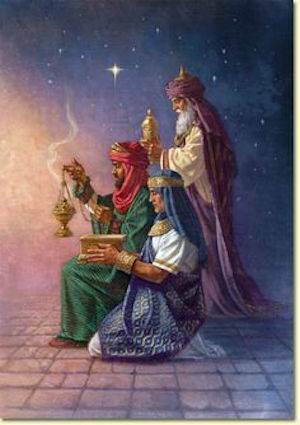 The wise men three followed a star. They had journeyed from afar. They understood the mystery of the incarnation. Soon their hopes and dreams would become a realization. The wise men's hearts full of Joy and hope. Their journey took them from far away Kingdoms. Through the desert sands they made their way. How long it did take no one could say. They were led day and night by the brightest star above. Propelled by the God of love. They understood the significance of this great cosmic event. In their hearts they knew it was heaven sent. Today we need to follow a star. We need a star today. To provide hope to a troubled world. Follow that star in your heart.